Yes, there are burning tip. U mean u just make water change more, and keep parameters more stable before add new active carbon? 2.Are you still using Rowa carbon? Do you use Zeo's activated carbon? And how much / how to use it? 3. What have you changed or done in the near future? I don't know if this will help the TN phenomenon to be relieved. If it is me, I will do this. If an element is not balanced, this can also achieve a balanced relief. Last edited by jacky; 04-15-2019 at 09:56 AM. I have removed all active carbon rowa as i said in the last thread. All parameters is more balance now. Now i try to siphon and water changes. But i dont know what happen with my tank, someone talk me this is cyano, but i dont think so maybe this is something like a virus of coral. 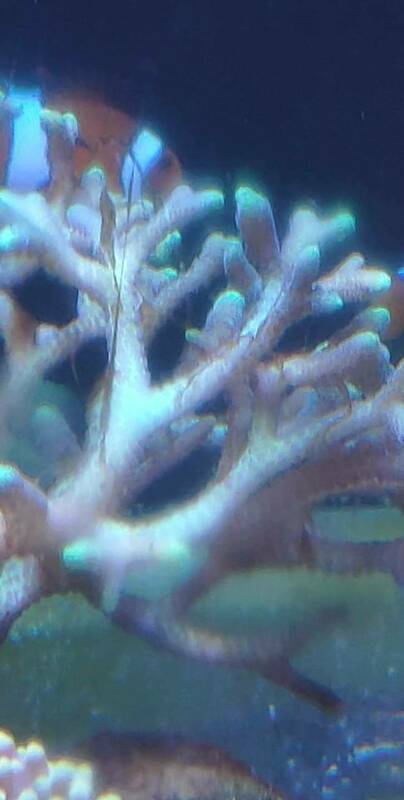 Do you have those string like algae just on the corals which lost their tissue or does it show up on the sand / rocks also ? From the pictures I would say those are Dinoflagelate, do you have access to a microscope ? I dont have any microscope. What do i need to do now? Many reef tank in my country having this disease. G.Alexander always has very good experience, thank you very much. Some plastics are immersed in sea water to release some plasticizers. Last edited by jacky; 04-17-2019 at 06:08 AM.